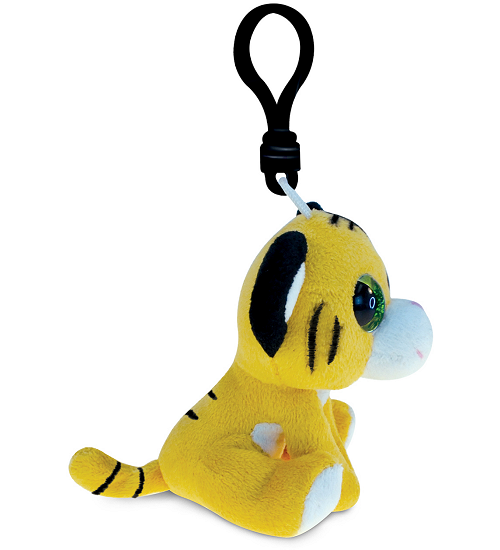 This cute little tiger plush backpack clip stuffed animal is the perfect take-along pal. 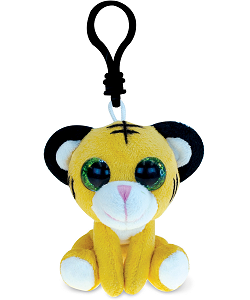 With soft orangey fur, black stripes and outer ears, white inner ears, muzzle, tummy, and back feet bottoms, and embroidered pink nose, this stuffed tiger backpack clip has amazing sparkly emerald green eyes in an ever-smiling face. 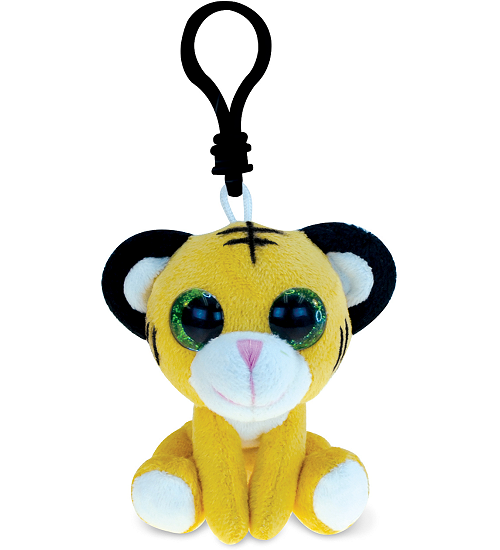 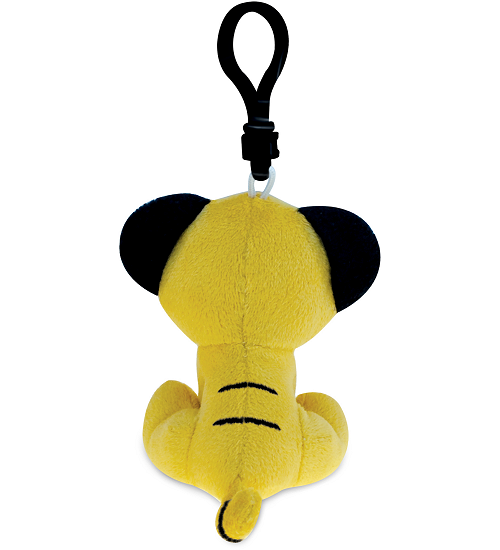 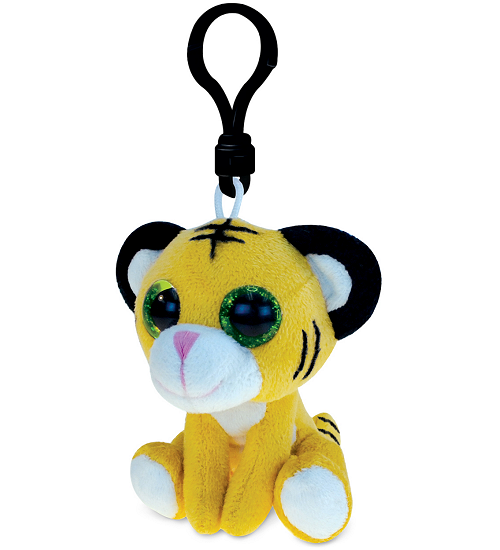 Complete with black backpack clip, this plush tiger clip on animal is great for on-the-go adventure as well as birthday treat bags, prizes, and giveaways.